Feb. 3, 2016 — Synthesis Multimedia and DMVSTREAM.COM have partnered with with LaxSportsNetwork.com, a 24-hour digital sports network dedicated to the sport of lacrosse, to produce a series of about a dozen high school lacrosse broadcasts LIVE at LaxSportsNetwork.com. The series of broadcasts will feature some of the Mid-Atlantic’s most recognizable high school lacrosse programs, LSN CEO Rob Wallace announced Wednesday in a press release. The schedule is highlighted by 9 teams ranked in the final 2015 rankings on Recruiting Rundown: #2 Landon and St. Stephen’s & St. Agnes, #3 Gonzaga, #4 Hill Academy, #12 Georgetown Prep, #15 McDonogh, #19 St. Paul’s, #20 Culver, #22 Boys’ Latin, and #25 Loyola. Full Schedule here. 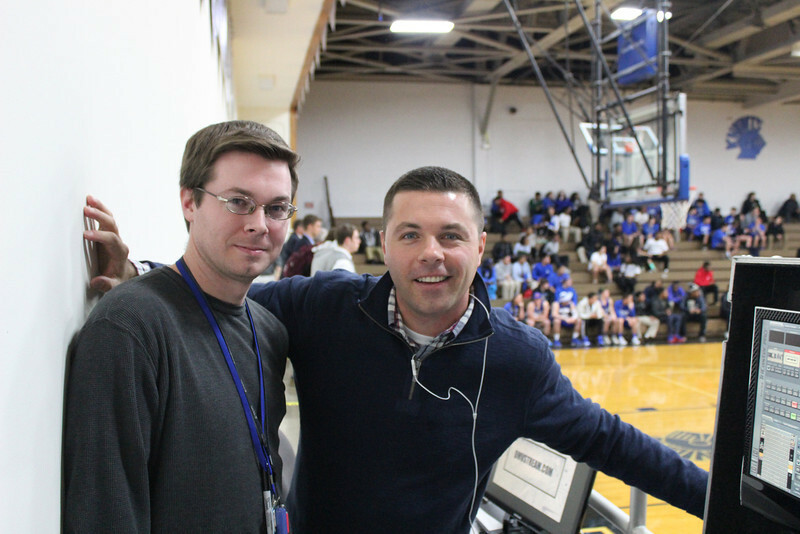 LSN has teamed with Synthesis Multimedia Productions, a Mid-Atlantic-based video production and broadcast company, as the lead production team for these prep school games. Synthesis Multimedia Productions is the ownership group and parent company of DMVSTREAM.COM. In this series of 10 games, starting in early March, you can watch the best match-ups LIVE in HD, with the state of the art broadcast technology, you’ve come to expect from us at Synthesis Multimedia Productions and DMVSTREAM.COM. Broadcasts will include a minimum of five HD camera angles, graphics, instant replay, live clock, live scoring, up-to-minute stats and a 15-person crew, including directors, producers, camera operators, play by play, color, and sideline reporters — all dedicated to creating a television-style broadcast experience that you can watch LIVE right in the palm of your hand. “The coaches, players and staff at Gonzaga could not be more excited to play on LSN this spring. We put forth so much effort to compete and never give up in our program. I firmly believe this is the same effort you get with the LSN staff and crew. First class all the way with them! The Gonzaga Eagles are honored to play on such a fantastic network.” Said Casey O’Neill, Head Varsity Lacrosse Coach and Athletic Director at Gonzaga College High School. 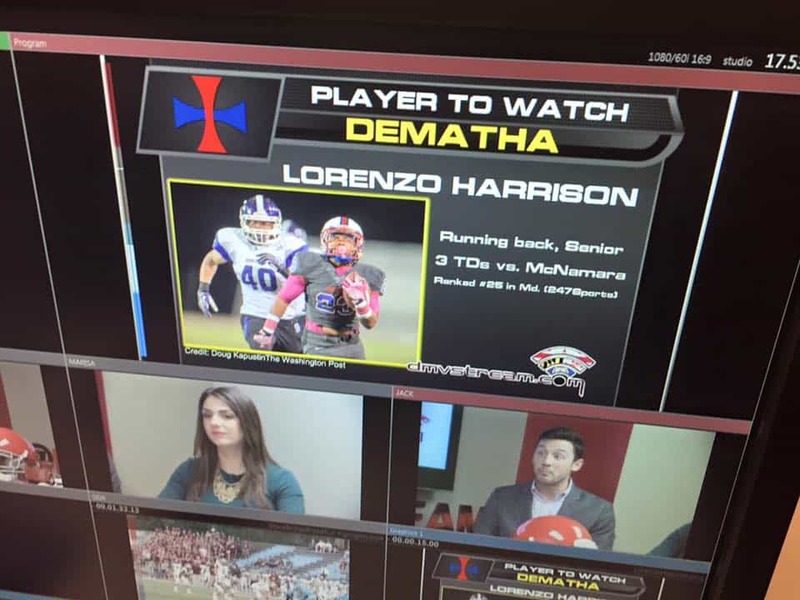 “We are very excited about having our Landon-Gonzaga lacrosse game broadcast live this Spring. Our games the past decade have been very competitive, and last spring’s game was one of the most exciting contests that I have ever been involved with. The atmosphere was electric, and both teams put forth heroic effort. I suspect that this year’s game will be another classic, and we are pleased that Lax Sports Network will allow an even larger audience to enjoy this wonderful matchup” said Rob Bordley, Lacrosse Head Coach at Landon School. Lax Sports Network is a digital video network dedicated to covering the game of lacrosse. Beginning January 5, 2016, the network will deliver thousands of hours or original programming development including: live professional, collegiate, and amateur games; news and information; developmental videos; and customized content. Subscriptions are available today! Stay connected with Lax Sports Network on Facebook, Twitter, Instagram, YouTube, Snapchat and Periscope. VIDEO: Go behind the scenes. Our new state-of-the-art studio space in downtown Fairfax, Va. allows us to produce a show with four HD camera angles, graphics, highlights, interviews with players, coaches, segments, commercial breaks and so much more. Watch this behind the scenes video and see how we produced Season 1, Episode 1. Watch the VIDEO. The PrepZone at DMVSTREAM.COM is brought to you by Executive Producer B.J. Koubaroulis (pictured right), a long-time D.C. area sports personality and owner at DMVSTREAM.COM and it’s parent company, Synthesis Multimedia Productions. You can reach him by email at bkoub@yahoo.com or on Twitter @bjkoub. DMVSTREAM.com is a web site dedicated to broadcasting live sports in D.C., Maryland and Virginia. DMVSTREAM.com broadcasts pro, amateur, college, high school, AAU and youth games and tournaments to televisions, computers and mobile devices like iPads, iPhones and more.